eD@HoMe: Lovely mails from Europe! Here comes another fine cover sent from Geuensee, Switzerland. Many thanks to Vural Oguz!! 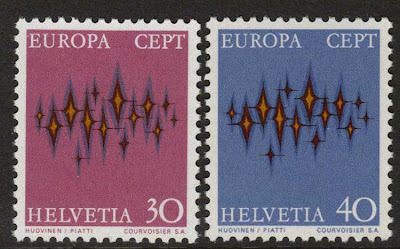 The stamp franked on the left of this cover belongs to a set of 2 Europa CEPT stamp issued by Swiss Post in 1972. 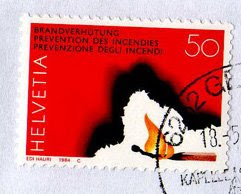 The stamp in the middle of the cover is from the "Fire prevention" series, issued in 1984. 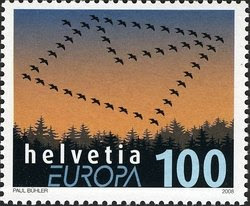 Lastly, we have a beautiful stamp from the Europa CEPT series, issued on 8th May 2008. The theme for that year is 'Letters'. 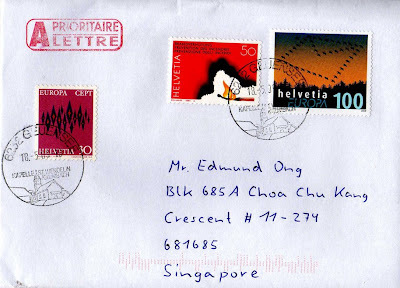 This lovely cover was postmarked in Geuensee, Switzerland on 18th May 2009 and took only 3 days to reach Singapore. The second cover that I am sharing on today was sent by Kazimierz from Poland. Thank you very much! 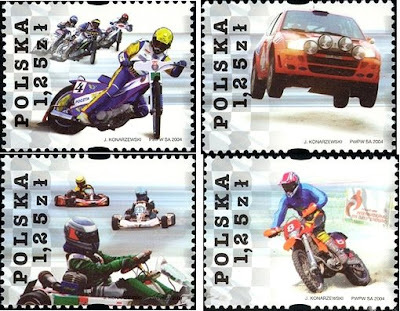 The two stamps franked on this cover belong to the "Motor Sports" series, issued on 11 September 2004. 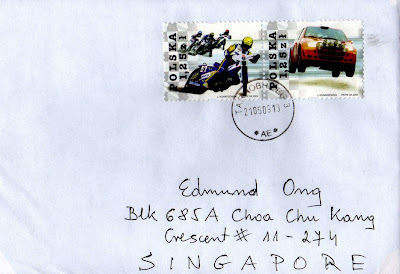 This cover was postmarked on 21 May 2009 in Tarnobrzeg, Poland and took 8 days to reach Singapore. Last but not least, I would like to share with you this cute postcard sent from Finland by Postcrosser, Mura. Thank you! 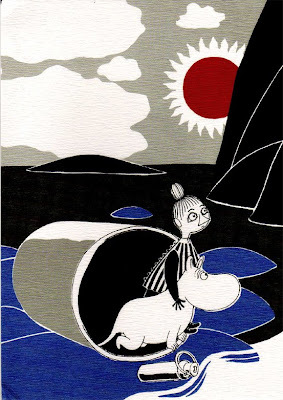 The postcard depicts popular Finnish cartoon characters, Moomins. The Moomins are a family of trolls who are white, round and furry in appearance, with large snouts that make them resemble hippopotamuses. The carefree and adventurous family live in their house in Moominvalley, in the forests of Finland. 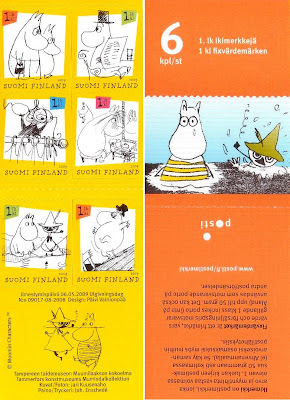 The Moomins stamp franked on the postcard belongs to a booklet of six beautiful Moomins stamps, issued by Finnish Post in 2009. 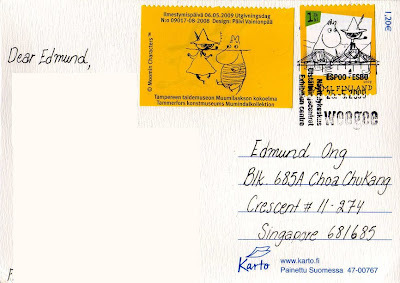 This postcard was postmarked in Espoo, Finland's second most populated city on 25th May 2009 and reached me on 29th May 2009.